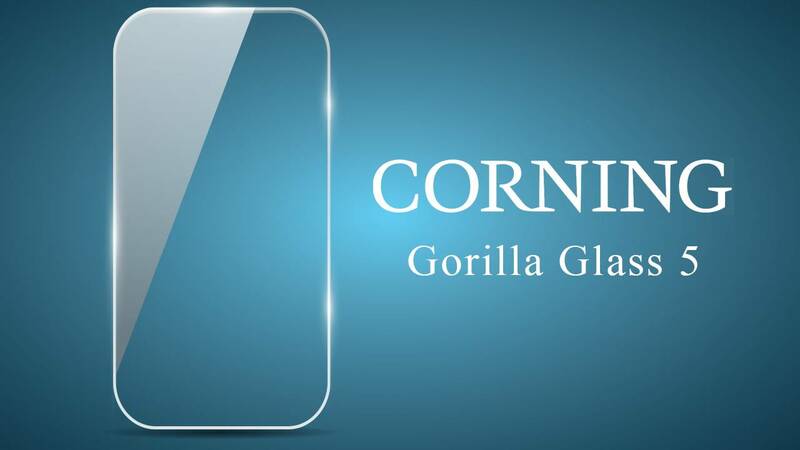 If you are a smartphone person, or you read about smartphone features and specs table, you must have one time or another stumbled upon the phrase “Corning Gorilla Glass”. And while some actually understand what the phrase stands for and the tech behind it, Corning Gorilla Glass is just another complex spell-like tech terminology to some smartphone users. The paragraphs below will (in clear-cut words) demystify the term; what Corning Gorilla Glass actually is, how many version there are, which one your smartphone sports, and answer a couple of other “Gorilla Glass” questions you might have. What is Corning Gorilla Glass? 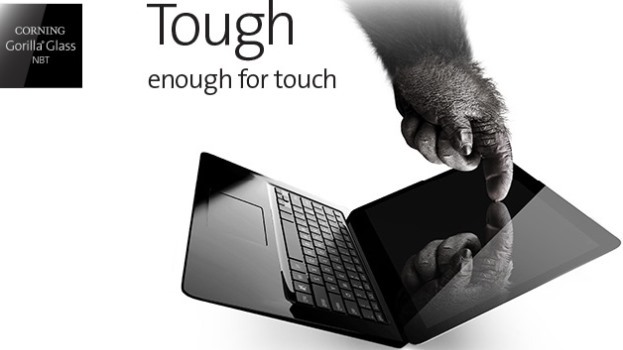 Gorilla Glass is a popular display protection technology developed by Corning Inc. not only for use on smartphones but also for tablets, computers, MP3 players and other electronics. The Gorilla Glass isn’t any type of glass you’d naturally find somewhere. It is made using processes invented and developed by Corning as far back as 2005 to resist dings, scratches, impacts, and other damages peculiar to the display of electronic products. 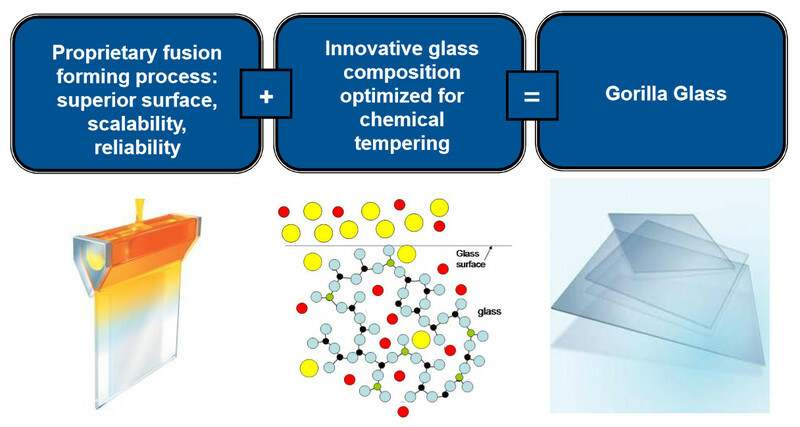 The toughened Gorillas Glass is made from a material known as Alkali-Aluminosilicate — a mixture/bonding of Silicone, Oxygen, and Aluminum. Asides from being tough and resistant to damage, Gorilla Glass is renowned for being reasonably thin and lightweight which makes it suitable for use on smartphones and pretty much any device without causing interference with the touch screen or affecting the original weight of the product. The Gorilla Glass isn’t the first and only display protective product from Corning but it is more of the breakthrough product for the company. The first Gorilla Glass was first used —bigly— on the iPhone around 2005-2007. After the debut of the product on Apple’s flagship, adoption of Corning Gorilla Glass has been on the rise ever since. FUN FACT: As at October 2017, more than Five billions devices were using Corning Gorilla Glasses. This generation debuted in the iPhone and went ahead to be used on more than two hundred and fifty (250) smartphones afterwards. 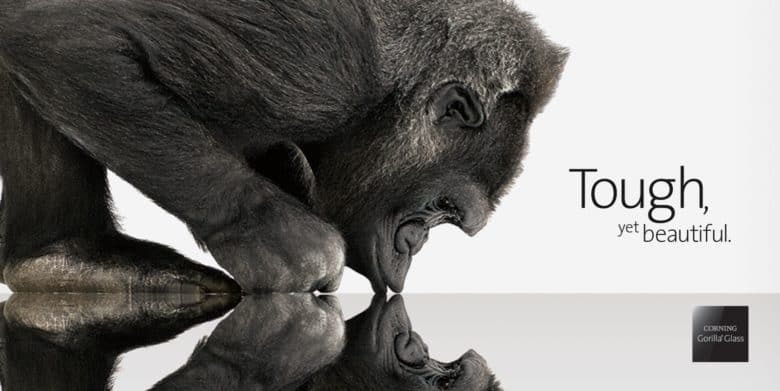 This generation was the beginning of the commercialization of the Corning Gorilla Glass brand. This version of display protection had fingerprint-resistant oleophobic coating, was about 1.5mm thick, and outdid plastic scratch resistant screen which used to be in vogue at the time. This model was released five years after the first model (2012) and was used on as many as 600 million phones. This is because the Gorilla Glass 2 was about 20% thinner than the previous generation and could handle up to 50kg of external impact without cracking or getting damaged. This model was released a year after the GG3 and focused more on resistance; compared to its predecessors, Corning upped the resistance of the Gorilla Glass 3 by three times. This version was also able to handle deeper scratch as Corning used what it called the Native Damage Resistance (NDR) technology. Since many smartphone screens were mostly getting damaged by accidental drop or fall, Corning focused its fourth generation of Gorilla Glass on strength and resistance. The GG4 was twice as strong as the GG3 and offered better display protection. The Xiaomi Mi Mix 2 uses the Corning Gorilla Glass 4 protection. Devices with Gorilla Glass 5 protection are four times stronger against impacts and enjoy resistance to drops of up to 1.6 meters. This model was released in 2016 and was used on so many popular flagship devices like the Samsung Galaxy S9, Nokia 8 etc. This is the latest iteration of Corning’s Gorilla Glass display protection that was announced about four months ago. This version is made out of improved materials which makes it tougher and stronger than the GG5. In fact, it survived up to 15 drop-test onto a rough surface from a 1 meter distance during a laboratory test. That’s how strong ad drop-resistant the GG6 is. The OnePlus 6T with in-display fingerprint sensor uses the Corning Gorilla Glass 6. In trying to understand what Corning Gorilla Glass is and how it works, I’ve heard people ask all sorts of questions. Below are some of the common ones..and their answers right next to them. 1. What does Corning Gorilla Glass do? Well, if you didn’t get the gist from the beginning of this article, I’ll reiterate: Gorilla Glass protects your smartphone, tablet, Mp3 players etc. from scratches and shattering. 2. Does Gorilla Glass break? Yes, it does. If you drop your device too hard against a surface or an object at high pressure, there might be little the Gorilla Glass can do to stop your screen from breaking or getting scratched. However, depending on the Verizon of your Gorilla Glass, your device’s screen might sometimes be good as new irrespective of how many times you drop it. 3. Do you need a screen protector or tampered glass? Just like the Gorilla Glass, a screen protector prevents your display from scratches. A tampered glass on the other hand prevents your screen from breaking whenever it drops. A tampered glass breaks too, but not as easy and quick as a screen protector. So, for added security, particularly if your smartphone is super pricey and the cost of repairing a damaged screen would put a hole in your pocket, you should use a tampered glass. Got any questions about Corning Gorilla Glass? Share it in the comments.